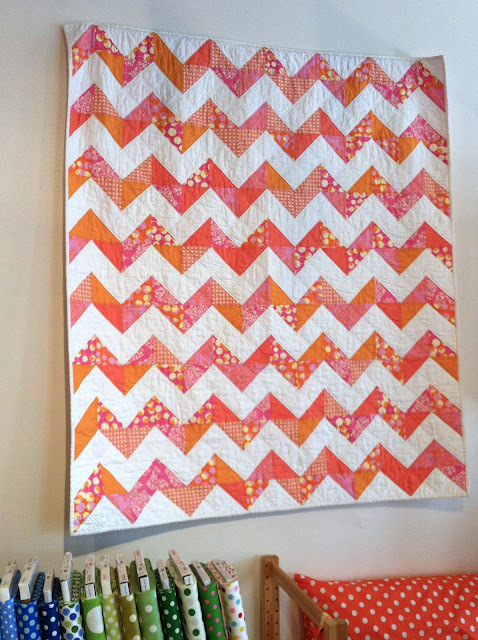 I've been sewing away on a new quilt this week. It's going to be all half-square triangles arranged into rows of zig-zags. (Some may call those chevrons to sound super hip. I am on the verge of being chevroned out, so we'll just say zig zag like the common non-designery folk. I know, I even put a chevron print in there. Whatev.) I picked these 8 prints from my stash, and since they all have gray or light backgrounds, I'm using a purple Bella solid as my background. Can't remember the exact name, but it's fairly purple. PURPLE. All the Sewn employs are making it together in a class-type situation where Millissa is teaching us to use triangles on a roll. If you were intrigued and clicked over to that website, you might have twitched a little when you saw it and then ran away. Don't be scared, some things that have terrible websites are still good products. And you can probably just find them on Amazon. It's basically just that- triangles that come conveniently on a roll of paper. You cut off a section of the roll, lay that on top of your two fabrics that are RST. Pin it down in the blank spaces, sew on the dotted lines, cut on the solid lines. No trimming down or squaring up, they come out pretty near perfect. You do have to rip the paper off, but that's painless. Elsie "helps" with that part sometimes. 36 of them in each print. I have the other 3 done as well, but those need pressed. 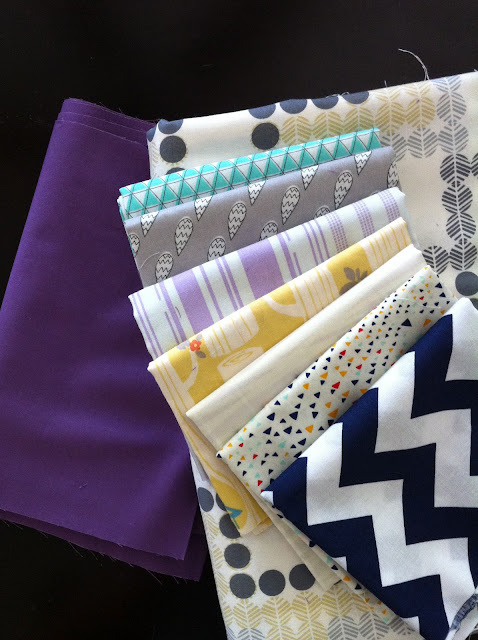 So here's my question- Do you think I should mix all the prints up in the rows of zig and zags? Or should I make each row a particular print? So mine will have the purple instead of white. She mixed up the prints and it looks great, but I'm kind of liking the idea of separating them into the rows. But I like this. But I like that. Tell me what to do! By the way, there is something REALLY fun coming next week. Kristin and I have been brewing and stewing it for a while and we can't wait. CAN'T WAIT!!!! Your mom is a fan of mixing it up in quilting, an so love those baby feet. Great fabric choices, but I what I'm most obsessed with are those feet - fabulous! 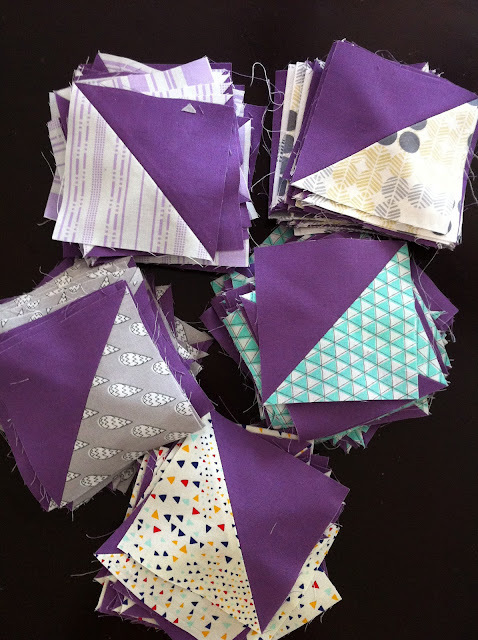 i've got some fun HSTs in my quilts pinboard (http://pinterest.com/skirtastop/quilts/)...was gonna send you links but thought there might be too many. but yeah, i think i like mixing it up. play around a bit. also, i want to nibble on elsie's baby toes and throw them in our stew! let's get this show on the road, girl! I'm loving your colors, and I'm a big fan of triangles on a roll. And I vote for mixing it up! I love how scrappy (but still cohesive) hers looks. Fun, fun! And really, you can't go wrong, so if you go the other way, don't feel guilty. I love the combo of purple and gray. Your quilt is going to look amazing! I can't wait to see it! triangles on a roll!!!???!?? completely intrigued. and i would say mixy-mixy! I have no answers for you, but I'm definitely into triangles on a roll, despite the twitchy website. They're on my wish list! Hi. I found you through Maureen's FB page. I'm glad I found you! To answer this question; I would also suggest to lay them out both ways and go with what you feel. Either way will be great! I can't wait to follow you and check your blog out too! I'm especially intrigued with the 1/2 square triangles on a roll. 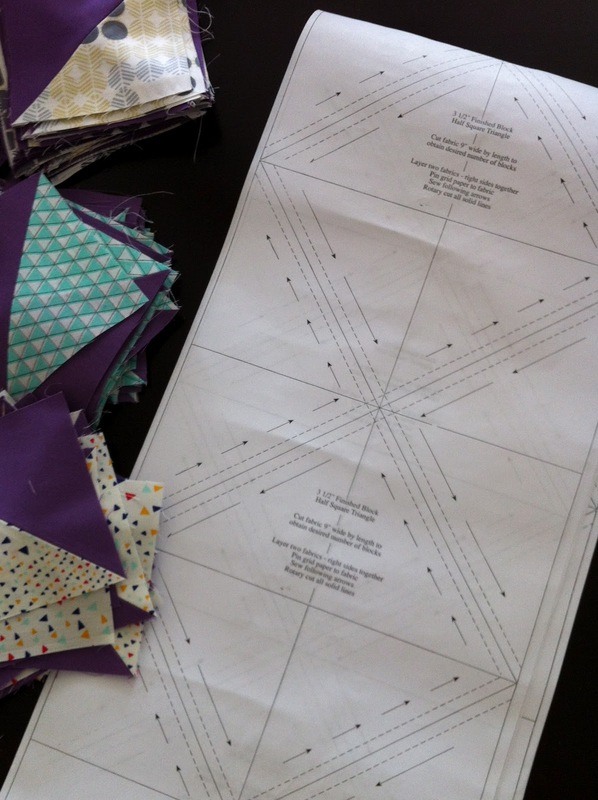 I live overseas but am home in the States right now and am itching to get to a quilting store. I think I shall try this!! Thank you. 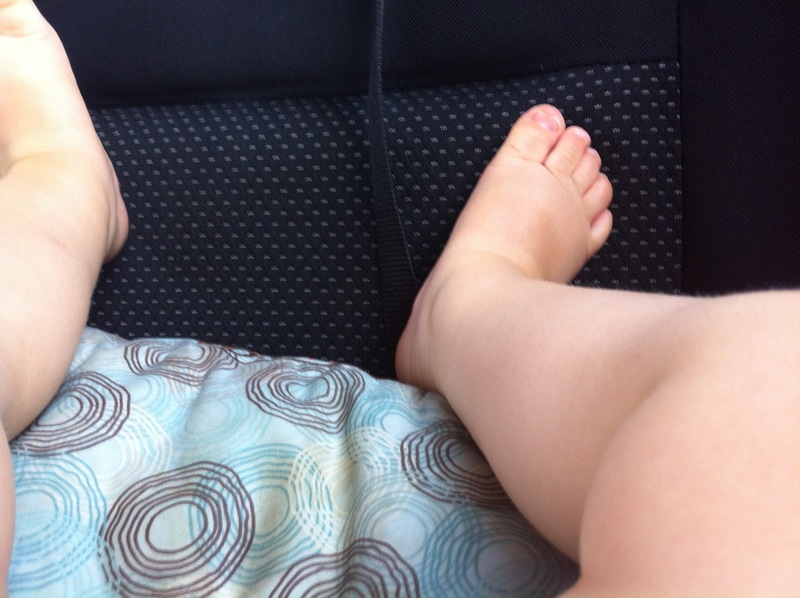 Also, I can not close this post without a comment on those little baby feet. DARLING!